Olaplex is a revolutionary new hair color upgrade service that is quickly gaining popularity among celebrities and around the world. So what’s all the hype about? Olaplex helps repair the bonds that are broken during chemical services such as hair coloring or using heated styling tools. Since these bonds, called disulphide bonds, give hair its strength and elasticity, harsh chemical services can sometimes lead to hair that is weak and brittle. By adding Olaplex to your hair color or lightening service, you can help reduce the damage and rebuild the bonds in your hair. First, your stylist will add the Bond Multiplier to your color or lightener and then apply the Bond Perfector after the color is rinsed from your hair. The Hair Perfector can then be used once a week at home to further strengthen your hair after your service is done. Alternatively, Olaplex can also be used as a standalone treatment for strengthening and improving the condition of your hair. 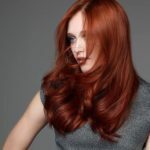 Your stylist may advise you to do a course of these treatment in cases of extremely damaged hair, prior to doing colour work so that your hair is strong enough to take a new bleach or tint. Unlike conditioning or protein treatments, Olaplex repairs the hair from within. It restructures the hair from the inside and can make even the most brittle or over-processed hair ready for treatment again. It can even be used with perms or relaxers, making it possible to highlight or color hair immediately after the first service! Over use of colour treatments and excessive heated stylings tools like hair straighteners will break down the bonds in your hair. If you continue to break these bonds your hair can become, dry damaged and brittle. Olaplex can repair these bonds making it strong and healthy and improving the shine. Olaplex is a product with an active ingredient that repairs and protects hair by repairing the broken bonds in your hair and pulling them back together. Olaplex is applied as a 3 step process to bring the health back to your hair. First of all your stylist will apply the Bond Multiplier No. 1 to the colour. After your colour is washed off the Bond Perfector No.2 will be applied to your hair for 10-20 minutes. Finally you will be offered the Hair Perfector No.3. THis is a treatment that you can take home and apply to your hair in your own time. This will maintain the condition of your hair between services. Is Olaplex Just For Hair Colouring? No, Olaplex can also be used as a treatment in the salon to repair your hair without having colour applied. Often, clients with very damaged hair many cases come to us for a course of Olaplex treatments to rebuild their hair so that it is strong enough for us to apply a colour treatment for them. After Olaplex has been applied as a treatment in the salon you can use the Hair Perfector No.3 to maintain the condition of your hair between services. Will Olaplex Improve The Condition Of My Hair & Stop Breakage? Olaplex isn’t a miracle cure, but it has been shown to reduce breakage dramatically and we have seen some incredible results in our salon from this product. So what are you waiting for? Ask your stylist about adding Olaplex to your next appointment!